Boko Haram, Nigeria’s militant Islamist group, abducted more than 200 girls from a northeastern Nigerian school in the town of Chibok on April 14. An estimate of 200 heavily armed militants arrived at night in 20 vehicles to kidnap the students. Parents of the abducted girls have said to have reported to officials a list of names of missing children, but officials did not listen until and the total of missing children reached 234. Boko Haram means “Western education is forbidden” in the Hausa language. The abductions show the group’s deep rooted hatred for Western education. 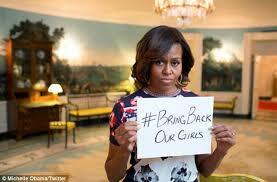 Boko Haram promotes the moralistic Islamic view of the place of a woman is in the home. The militant Islamist group have attacked schools before. The northeastern Nigerian school in Chibok, was one of the only schools still open in this remote area of Borno state and had no security protection that night. The school in Chibok, which was hosting final year exams for Christian and Muslim schoolgirls. Borno state education commission Musa Inuwo Kubo and the principal of the Chibok Government Girls Secondary School initially said that 129 science students were at the school to write an exam when Boko Haram struck. Twenty-eight students escaped from their captors between Tuesday and Friday, and another 16 were found to be day scholars who returned home before the attack. The kidnapping left 85 missing students. Security has not rescued any of the missing girls and young women, but have said to be in a strong search for the girls. 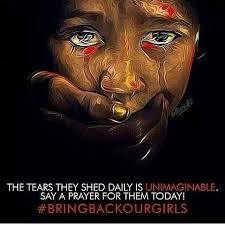 There has been speculations from the Nigerian government that it wants to secure their release through negotiations. It is said that discrete actions are being taken and they are keeping in mind the safety of the girls and do not want to do anything that could lead to Boko Haram killing them. 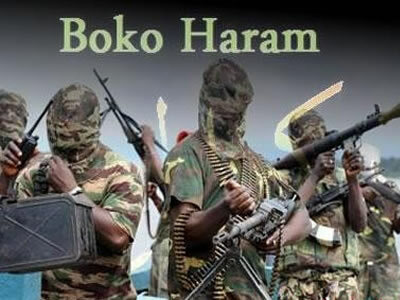 The government’s main problem is that its intelligence agencies have failed to penetrate Boko Haram, making the chances of the government having much inside information on the group’s activities are small. Nigeria has acquired help from the United States, China, UK, France and Israel to deal with the crisis. Some of these countries have sent specialist, including hostage negotiators and soldiers to help. Along with Eze, other people has expressed their opinions on the matter such as First Lady Michelle Obama, model Shaun Ross and many more. The news about the incident has become a major headline, but one thing that adds to this twisted plot is the kidnapped girls are being sold at a price as little as $12. Walk Free, an organization whose goal is to be part of the generation that ends modern slavery, has been gaining support from people across the world trying to make President Goodluck Jonathan of Nigeria. Specialists believes if the Nigerian Government act straightaway and use all of their resources, it can find the missing girls and bring them back home to their families. “I pray every night for my cousins, especially my cousin Diamond,” said Eze. If you would like to help raise awareness to this matter go to www.walkfree.org and pledge to help save the 234 Nigerian girls from forced child labor to Nigerian President Jonathan.